Since playing the demo relatively religiously over the last 24 hours, I thought it'd be time to post up my impressions so far. Here is a little personal feedback from myself on the demo so far. At first view, I felt that the graphics were superb. The player faces were very good and well detailed. The kits look sharp too. Even though Konami had a lot of other things to improve, it's pleasing to see that they kept some time aside to improve the graphics - without compromising other aspects like the game play, menus and other features. The player expressions were very, very realistic. In my first game, I played Bayern Munich using Barcelona. My first goal came from Messi down the right who crossed a delicious ball into David Villa who poked home from 8 yards. I checked the replay and noticed that Badstuber (the Bayern left back) was performing actions showing his anger, moaning at the other defenders' poor marking - and rightly so, a player as good as Villa should never that much space in the box. I scrolled through the players, and found the forward Olic who was on the halfway line. He too was disappointed, showing a face of pure frustration which was realistic. It's good to see CPU players actually showing some life-like emotions. I like the animations too. I know Konami have worked on them, so I wasn't surprised that much to see they were so good. Pleasingly, their hard work is impossible to miss and didn't go to waste. The crossing is so deadly. I found myself crossing it with Messi and Dani Alves often, and the crosses were so, so satisfying to say the least. The power bar is really making a difference this year - in all aspects of the game. It's a relief to know that now I can whip a ball in, with a huge amount of pace. Unlike the game last year, where every cross in the air was floated in with no real conviction. As a defender, you're going to face real problems now when defending. The shooting is challenging for me so far. 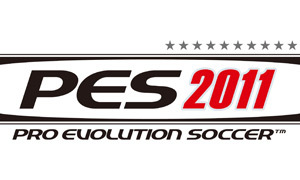 I guess that's because I've been playing PES 2010 so much for the 12 months - despite sounding obviously obvious, I guess it's because it was a completely different game. I'm enjoying long shots so far. It seems that you have to have a player with high shot accuracy/power and technique to do anything special, but it's fun nonetheless. I haven't scored a 30yd+ yet, but with David Villa in my side, it's only a matter of time. He's really something else! I like the game speed option too. I played on +2 for a whole game, and it was really enjoyable. Maybe a tad fast to spend a whole Master League season on, but probably ideal for Exhibition Mode with your friends. The current default speed seems to be much slower compared to PES 2010 - that's not really a problem for me, because I feel there is more of a challenge when attacking now. Players will now have to think about what they are going to do. Build up play will certainly be more rewarding, while counter attacks will be highly entertaining. However, concentration will be the vital key to success. Now onto the general sides of the game; the loading screens are quick, and I like that. You win a free kick and it's a matter of seconds before you have the ball rolling again. The replays are much better - you can actually see the ball now, rather than the players torso going down. Also, I like the free camera in Replay Mode- it seems they've adopted the camera you have in Halo 3's Theatre Mode which is just plain awesome. It's a controversial subject, but I'm impressed by the diving animations now. They're so much more realistic now - even if you don't feel that diving should be in the game, it's good to see players going down realistically (kind of anyway. I'd prefer it if they'd stay on their feet). And most importantly... so far - and of course, I am touching wood here - I've had no real problems with the goalkeepers or referees. No problems whatsoever. But I shall stop there before I jinx it for everyone. No more on that! As you know, there's an obvious lack of criticism here. And it's true. I don't really have anything to moan about. Of course, there will be things that pop up, but I haven't found anything that has annoyed me yet - apart from the disastrous menu music. But like I say, when I find something that I don't like about this demo, I'll post it. For now, that's it. I'm going to try and find something bad about this game, so I can write something that includes both sides. I'd rather be writing something with a little more controversy, but I simply haven't found anything that has annoyed me. I'm not a depressing character, but I do apologise for the generally happy review. I don't want to be upset, but it would help me a lot when writing on here!